Just a short week till Christmas and not much time. Still you would like to bake something for your friends or family? 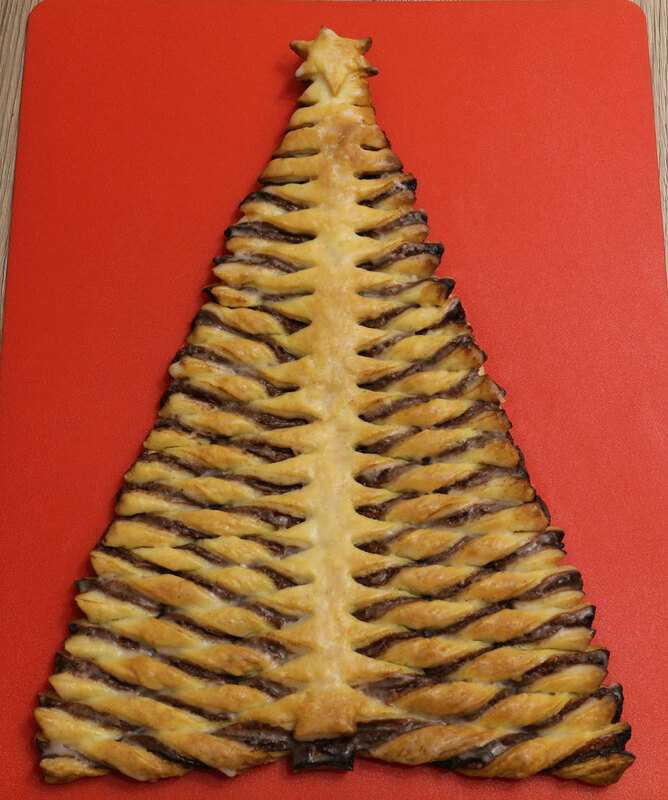 I would suggest this easy to bake puff pastry with the shape of a christmas tree. 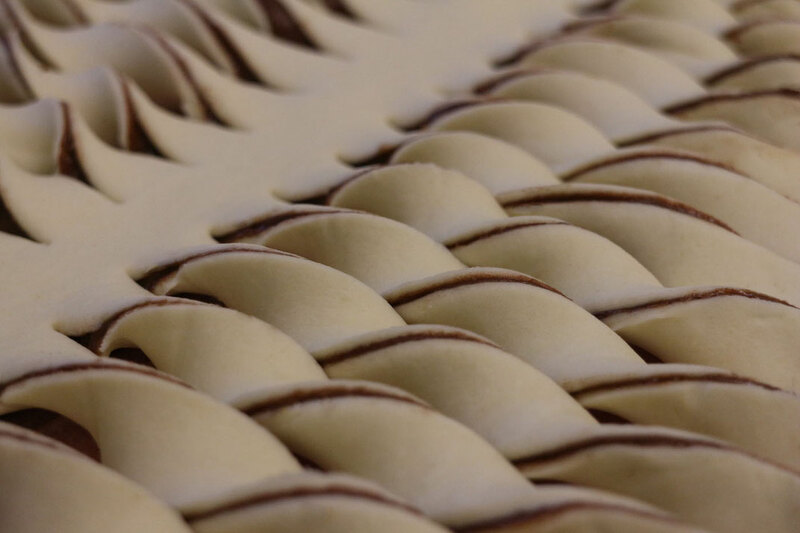 You just need to buy two sheets of puff pastry and some nut-nougat-spread. 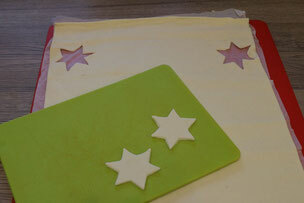 Place one of the sheets onto a baking mat and cut outcorners two stars in two corners (you can use a cookie cutter). 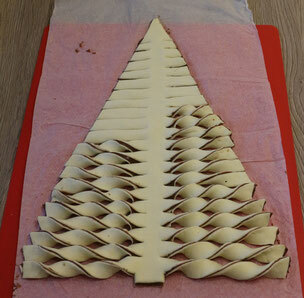 Spread the nut-nougat-spread onto the puff pastry sheet and put the second sheet on top. 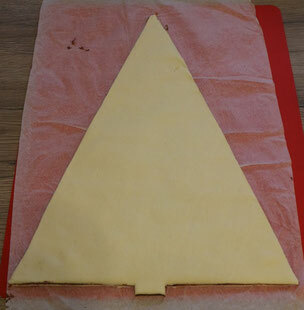 Now it's time to cut out the tree shape. Cut the branches of the tree with a sharp knife with about 10mm distance from each other, but leave the trunk uncut. Start twisting the branches, as often as possible depending on their length. 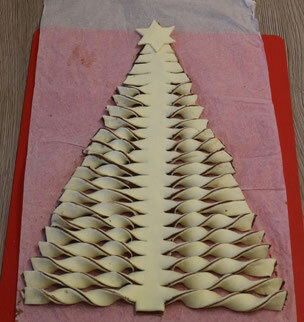 After all branches are twisted you can put the star on top and the tree is ready for baking. Put it onto a baking tray, brush some water on top and bake about 20min with 200°C (depending on the puff pastry you are using). 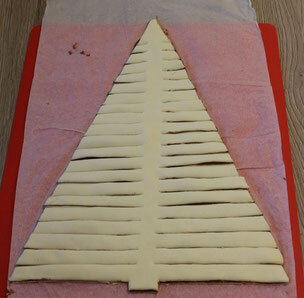 After the tree has finished baking and is cooled down you can brush some sugar icing on top. If you like puff pastry, check out as well the raspberry pastry!